The 10th Colombia Open Water Swimming National Championships (X Campeonato Nacional Interclubes de Aguas Abiertas) were held in Cartagena, Colombia where Club EPM won the overall team championships last week. Teams came from all over Colombia including 124 swimmers from Antioquia, Atlántico, Bogotá, Bolívar, Guajira, Norte de Santander and Valle where the athletes competed in age-group, youth, open and masters divisions. Natalia Solis Quesada won the women's 10 km marathon swim in 2 hours 38 minutes while Juan Sebastian Osorio set a championship record in 2 hours 5 minutes. This entry was posted in Open Water Swimming and tagged Isias Vasquez Tavera, Juan Sebastian Osorio, Karol Johana Villareal, Natalia Quesada Solis, Paola Jaramillo Zuluaga, Rodolfo Sanchez Perez on November 25, 2013 by WOWSA. 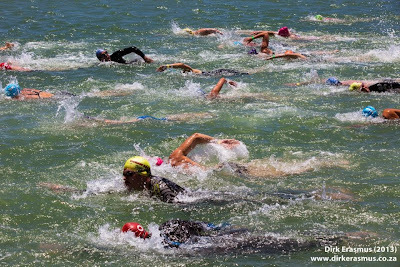 Round 2 of The Metsi Open Water Swim Series at Marina Martinique in Jeffreys Bay, South Africa was held yesterday in South Africa under pleasantly sunny conditions and quite comfortable 22ºC water temperatures. The 5 km race kicked off the event where Chris Reid, Daniel Jones and Byron Lockett tangled up in an exciting head-to-head battle. Reid eventually took the victory in 1:02:17 with Jones 3 seconds behind. 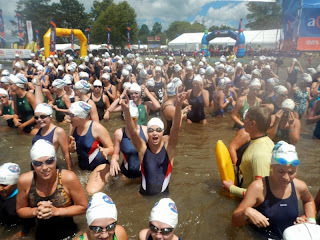 “It was a tough swim especially on the leg where we swam against the chop, but I enjoyed it," said Reid. Metsi Water Solutions sponsored R6,000 (US$593) that made the race worthwhile for visiting open water swimmers. The women were much more spread out as Kirsten Marriott dominated in 1:08:26 over Nepo Ntsono and Amy Mardon. The 75-meter bank-to-bank swim took place next with Noah de Swart, Issataya Bredell, Abriella Bredell and Christiaan Van Wyk all having good swims. 9-year-old Nadia Van Zyl and Matthew Grey were the only two swimmers in the 500m race as the conditions started to get testy. Dylan Smith was the overall winner of the 1 km swim with Jade Grobbelaar as the first female. Kaylene Corbett, Erin de Swart, Margie Young and Anne de Swart were the respective age group winners in the women’s divisions while Joel Carlse, Hennie Theron and Rencke de Swart won the men’s age group categories. 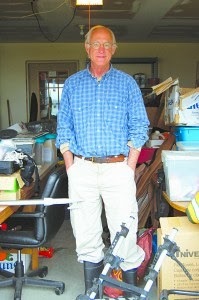 Phil Weddell won the wetsuit division. Jamie-Lee Engelke won the women's division in the 3 km swim with Hannah Haswell, Tammy Geyer, Angela Finlay, Adele Hunter-Smith, Denise Bosman and Elsa Craig winning their respective age groups and Michelle Enslin won the wetsuit division. Credence Pattinson won the men’s 3 km race with Kyle de Lange, Ryan Lopes, Alan Searle, Duncan Edwards, Ralph West and Francis Searle winning their respective age group categories. 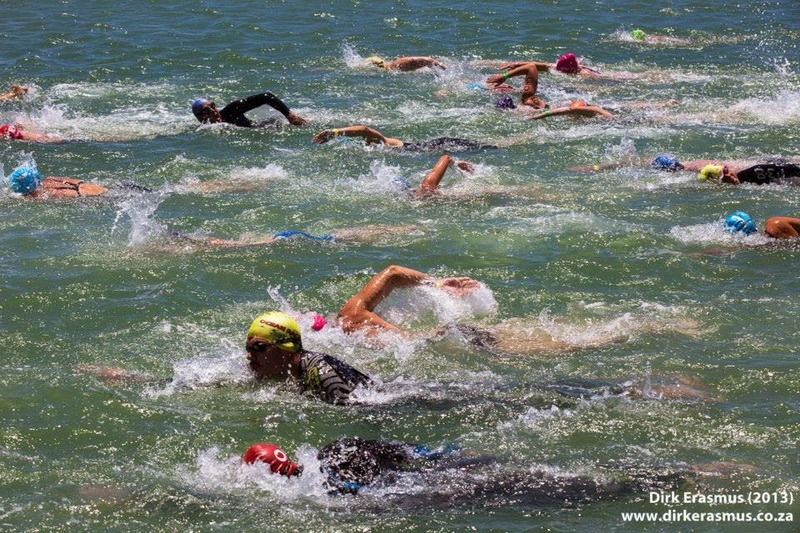 "The next open water event is the Aquabear 2K which comprises of a team trial event as well as a 2K swim at Marina Martinique on December 16th," said Brenton Williams. "The ever-popular Marina Mile will take place on December 21st and 22nd. Visit www.swimmingplus.com for more information." This entry was posted in Open Water Swimming and tagged Brenton Williams, Marina Martinique on November 25, 2013 by WOWSA. Did You Receive Your Blue Letter? Pádraig Mallon is a man always up for a new challenge. In 'Step out of the Ordinary - Challenge yourself' event, he shares his passion to test himself with others via a new Camlough Lake Water Festival (CLWF) project. The program encourages individuals to step out and challenge themselves. 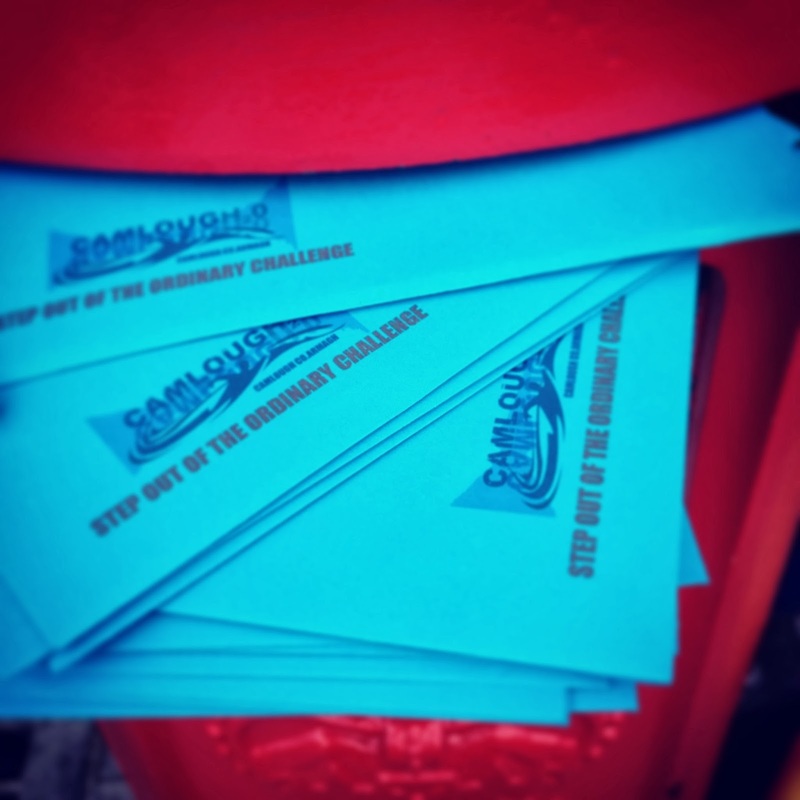 On November 13th, 196 blue ‘Step out of the Ordinary’ challenge letters were delivered to individuals. They could either accept the challenge and see what was inside. Or they could reject the challenge, return to sender and never hear another word. "Surprise, shock, dread, delight just a few of the emotions expressed as the CLWF Team seen 2014 unfurl," reported Paulo Coelho. "Only two envelopes have been returned, but the flood gates have opened with approximately 300 emails received from others wanting a challenge, they will have to wait until 2014." The ‘Step out of the ordinary’ Facebook event is receiving daily posts from those challenges already focused on their new goal – some expressing how tough it is some just posting ‘bring it on’ . The CLWF team is continually updating its Facebook page with motivational quotes and statements to keep momentum. This entry was posted in Open Water Swimming and tagged Pádraig Mallon, Step out of the Ordinary on November 25, 2013 by WOWSA. 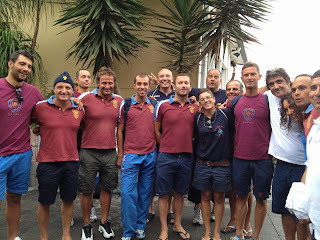 A familiar sight at the FINA Open Water Swimming Grand Prix circuit, the FINA 10K Marathon Swimming World Cup circuit, and other international competitions is the crimson colors of the Gruppo sportivo della Polizia di Stato. Top Italian professional marathon swimmers - supported by a professional coaching staff - like Simone Ercoli, Edoardo Stochino, Andrea Volpini and others train hard and compete nationally and internationally wearing the proud Polizia color of crimson. This entry was posted in Open Water Swimming and tagged Andrea Volpini, Anna d'Angelo, Eduoardo Stochino, Massimo Varriale, Rosario Castellano, Simone Ercoli on November 24, 2013 by WOWSA. When Thomas Lurz just barely touched out Brian Ryckeman, and Martina Grimaldi did the same to Angela Maurer in the FINA World Championships in Barcelona, the fantastic 25 km world championship race spelled the end of an era. For nearly 20 years in the water and another 24 years on land, Australian Shelley Taylor-Smith has blazed a trail in open water swimming that has been unprecedented as an athlete and administrator. Not only was she a 7-time World Professional Marathon Swimming Federation champion, but she was also a 5-time winner of the Manhattan Island Marathon Swim and the only woman to outpoint men in face-to-face competitions (in 1991). The author of Dangerous When Wet and race commentator applied that same tenacity and passion for the sport when she was appointed to numerous positions within FINA. Unexpectedly, Taylor-Smith handed in her letter of resignation prior to the 2013 FINA World Championship and quietly and humbly stepped aside for others to replace her on the FINA Technical Open Water Swimming Committee (TOWSC). Her wake created a stir as several FINA Bureau members, the FINA president, and the FINA Past President all asked her to reconsider her retirement. "We need you, Shelley. You know us Shells," pleaded several leading athletes in Barcelona. "You represent us and our needs," frequently mentioned coaches and FINA Athletes commission members on the docks and hotels of Barcelona. "Taylor-Smith always promoted, defended, and served well to protect the needs of the athletes in a sport where risks are a ubiquitous as choppy water." At her final committee meeting, she wished her colleagues well. "This is my final Technical Open Water Swimming Committee meeting and I wish everyone the best. The past 24 years has been both a humbling experience and amazing opportunity to serve FINA. Starting in 1991 as Athletes Representative with Diego Degano to 1998 after being appointed FINA Athletes Commission Chairperson in 2000 and being appointed to TOWSC as Honorary Secretary to serve 13 years on the FINA Technical Open Water Swimming Committee, I trust that you will continue to respect the athletes and coaches in open water swimming that we serve." Her resignation leaves a huge void in the sport, but she is simply redirecting her focus from the relatively few number of elite professionals athletes to the legends of growing masters swimmers and triathletes who are taking to the open water. "I feel...sad because I love being involved with the sport, the athletes, the coaches....the buzz of being around the best in the sport...is what I will miss." With her smooth delivery on camera and her comprehensive grasp on the sport - from solo swimming and channel swimming to professional racing and administration - Taylor-Smith is a shoe-in as one of the nominees for the World Open Water Swimming Woman of the Year. Taylor-Smith's nomination reads, "The longest serving FINA committee member served unselfishly since 1994: first as an athlete representative and then as a Technical Open Water Swimming Committee member. She was instrumental in the incorporation of the 5 km event, Olympic 10K Marathon Swim, and 5 km Team Pursuit event in the FINA program until she retired this year. She was the first female referee to serve at the Olympics. After a trail-blazing career as an athlete, she maintains the same intensity as an author, speaker, and inspirational coach. For leading Open Water Swimming Mastery, for instilling confidence in others with fears and worries, for continuing to pass on her knowledge to the next generation of swimmers, Shelley Taylor-Smith is a worthy nominee for the 2013 World Open Water Swimming Woman of the Year. This entry was posted in Open Water Swimming and tagged FINA, shelley taylor-smith, TOWSC, World Open Water Swimming Woman of the Year, WOWSA Awards on November 24, 2013 by WOWSA. You Are A Newbie Swimmer If..
21. call flip turns "somersaults at the wall"
On the reverse side, you are a veteran swimmer if you do these things. 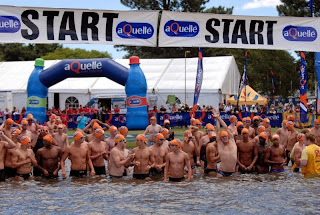 Photos from the aQuellé Midmar Mile in Pietermaritzburg, South Africa. This entry was posted in Open Water Swimming and tagged goggles, H2Open Magazine, hand paddles, John Kinsella, keri-anne payne, kick boards, newbie, Open Water Swimming Magazine, pace clock, penny palfrey, Philip Rush, Swimming World Magazine on November 24, 2013 by WOWSA. 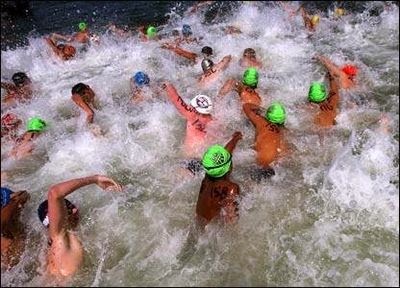 Sometimes you are just stuck in the middle of a huge pack of thrashing, splashing open water swimmers or triathletes clad in black. You cannot swim left and you cannot swim right. You are boxed in and cannot move from your position. You are frustrated and you may even be the recipient of unintentional physicality. What do you do? 1. Be patient. Go with the flow. Swim with the pack and relax, trying to conserve as much energy as possible. When the next turn buoy or course change occurs, the dynamics of the pack will change. This change will provide you an opportunity to move out from the middle of the pack and swim clear. 2. Check out the situation by sighting and then looking around you to your left and right. 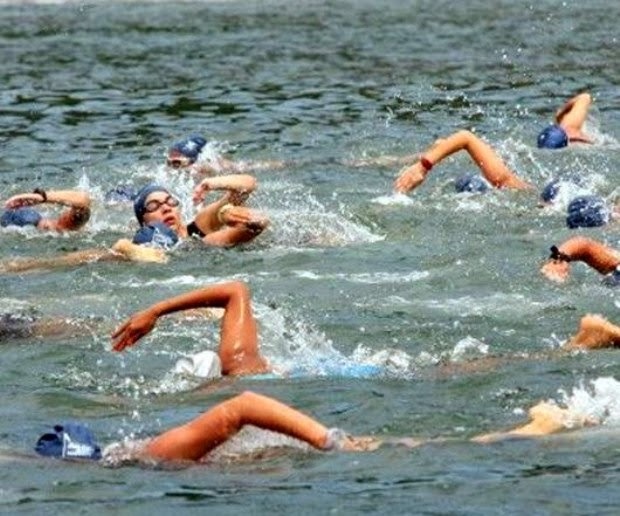 Do it a few times in order to confirm how many swimmers or triathletes are on your left and your right. Then decide the easiest way to get out from the middle of the pack by stopping or slowing down and then taking a sharp turn either to the left or to the right. Once you make your decision, do not hesitate. 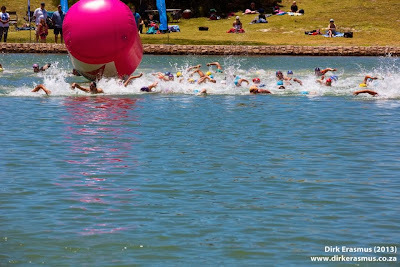 You may be hit from behind, but you can cross over the feet of the swimmers around you to escape from the pack. It may take more than one of these maneuvers to get out from the middle of the pack if you are in the middle of a 4-wide or 5-wide group with several tiers. 3. Submarine. Take a big breath and go underwater beneath your opponents. 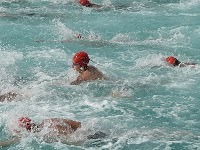 It may take only a few seconds to go underwater in order to get out from the middle of the pack. It may get you a bit winded, but the effort will be worth it. 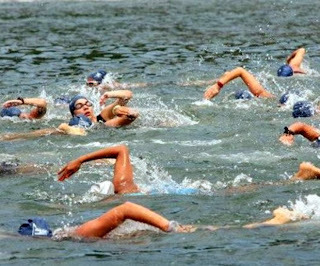 Either way you can get out from the middle of the pack, you will be in a better position if you swim at the edges of a giant pack rather than in the middle at its core. Remember you can be patient and make your move out of the center when the course changes direction. Or you can be a bit more radical and stop and then turn to swim perpendicular or diagonal out from the center of the core. Or you can be really radical and submarine your way to clear water. They all work. This entry was posted in Open Water Swimming and tagged 4-wide, 5-wide, physicality, sighting, submarine, triathletes, Turn buoys on November 24, 2013 by WOWSA. With a legal career that was as successful as it was respectful with the good of society at its core, Phil White was at a crossroads in his life. Ultimately, he could not shake the open water world and shifted gears from a legal career to an event management one with open water swimming at its core. He still works part-time in the legal profession, but his heart and time is now well-spent in the endurance world. Our gain. 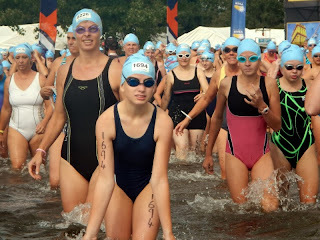 This entry was posted in Open Water Swimming and tagged Kingdom Games, Phil White on November 24, 2013 by WOWSA. 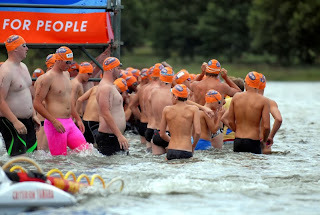 ABOUT US | PRIVACY | IGOTSTUNG | OPENWATERPEDIA | © 2013 OPEN WATER SWIMMING, LLC., ALL RIGHTS RESERVED.